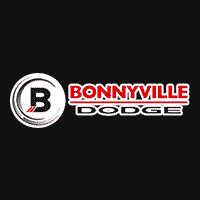 Sometimes life just works out in ways that make it easier – not more difficult – and when you choose to work with the team at Bonnyville Dodge you’ll be pleased to note that we’re here to offer you a premier experience that starts the moment you walk through the doors. Better than that, it continues beyond your purchase. We want you to have every reason to come and work with us again – and with competitive prices on vehicles like a Dodge Ram 1500 for sale near Lloydminster and Vegreville, great service, and modern facilities we’re pretty confident that you will. Are you looking for used truck or SUVs in Bonnyville? A specific model of car? How about a great minivan like a used Dodge Grand Caravan for sale in Bonnyville? Whatever you need you’re going to find the support and the expertise that gives you peace of mind and the self-assurance that connects you with the vehicle you want to drive while building a lasting relationship with our dedicated team of professionals. We believe in the importance of great impressions every time you come to us. This ensures those new to the Bonnyville Dodge experience as well as those new to our store the tailored guidance that addresses your specific requests and meets your expectations head-on with results. Choose to work with the team at Bonnyville Dodge because you’re going to find more reasons to let others know about the efforts and the consistency of quality that connects you to the right pre-owned vehicle, today! Let’s start by showing you through our wide range of used models, which include the amazing Chrysler, Dodge, Jeep, and Ram options like the used Dodge Ram 1500 for sale in Bonnyville and Athabasca. You’ll find a huge assortment of potential here. But, more important than that, you’ll find a team that can and will go above and beyond to reward you with results! Come down to our store and allow us to show you around a modern dealership designed to make your life better.